A classic amongst soft biscuits! A light, soft sponge base topped with orange marmalade and rich dark chocolate. 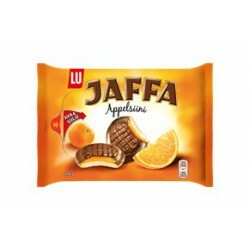 The Jaffa Orange now comes in a handy resealable pack that keeps the biscuits fresh from opening right down the last biscuit! 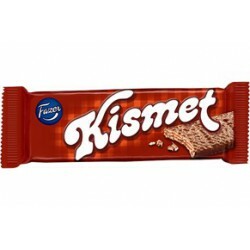 Fresh Marianne sweets and crispy Kismet chocolate were made for each other. It's so good that you cannot say it! A lot of 5 pcs. Fazer Cacao is the heart of all chocolate treats. 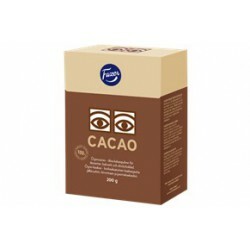 This quality cocoa powder is perfect for baking, desserts and hot chocolate. It brings the best aroma of the real cocoa bean into every moment of taste sensations. 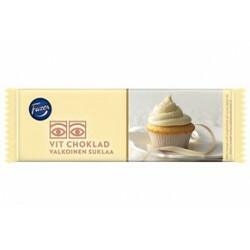 Karl Fazer white baking chocolate brings a twist of chocolate into your kitchen. White chocolate offers the final touch for your pie or cheese cake. A fresh alternative for dark baking chocolate! 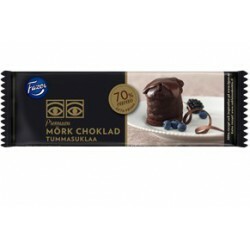 Fazer Premium baking chocolate offers a premium chocolate experience for your pastries. The rich dark chocolate is excellent for bakers who wish to offer only the best. 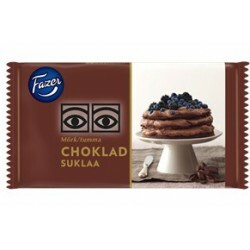 Karl Fazer dark baking chocolate brings a twist of chocolate into your kitchen. This rich dark chocolate can be used as the final touch for chocolate pastries, and it will melt the heart of both bakers and chocolate lovers! The red and white classic has entered the kitchen! 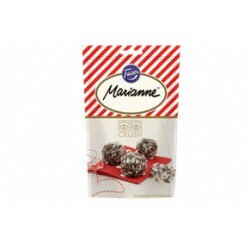 Marianne Crush is a mixture of peppermint and chocolate you can use to decorate a cake. It will melt the heart of the baker and all chocolate lovers. Tasty Moomin cookies for the whole family in a collectible Moomin cookie tin. The beautiful tin box will make you happy long after the cookies are gone. Fazer's cookie tin series continues with the stylish black design! Make sure you get yours!